Georgetown: a historical and fun city on the beautiful Island of Penang (Malaysia) that of course couldn't be missed during our South-East Asia travel. While exploring beautiful Georgetown (and its colonial heritage and famous street art) my boyfriend and I got the opportunity to stay in the beautiful Cheong Fatt Tze - The Blue Mansion hotel. While wandering the Mansions’ atmospheric courtyards and staircases it really feels like time has come to a halt. 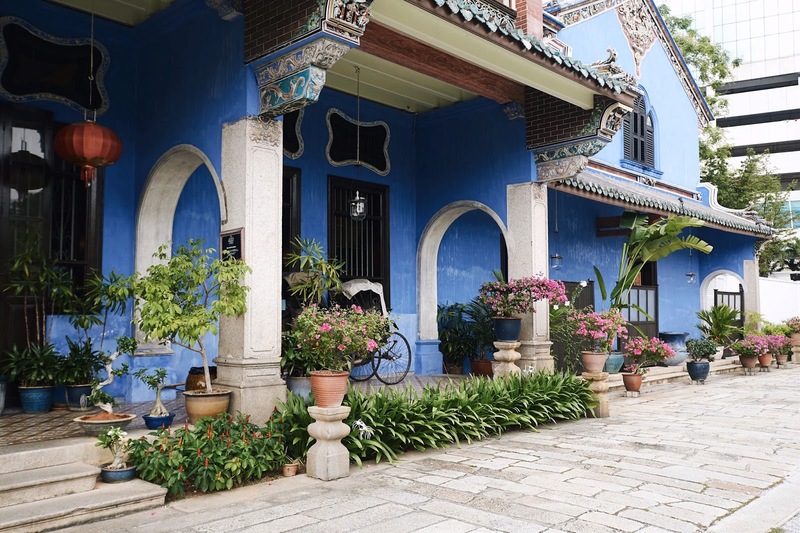 The Blue Mansion was build in the 19th century and was owned by the powerfull Chinese businessman and politician ‘Rockeffeler of the East’ Cheong Fatt Tze. The architecture of the very well preserved mansion is undescribably beautiful and impressive. Its detailled floors, dreamy staircases, cosy courtyards and Gothic louvre windows will truly make you travel back in time. The hotel blends old world charm with all modern comforts. After having an amazing breakfast (including everything you could possibly wish for - like caramel pancakes, yum!) we even had the opportunity to escape Georgetown's heat to take a swim in the refreshing hotels garden pool. 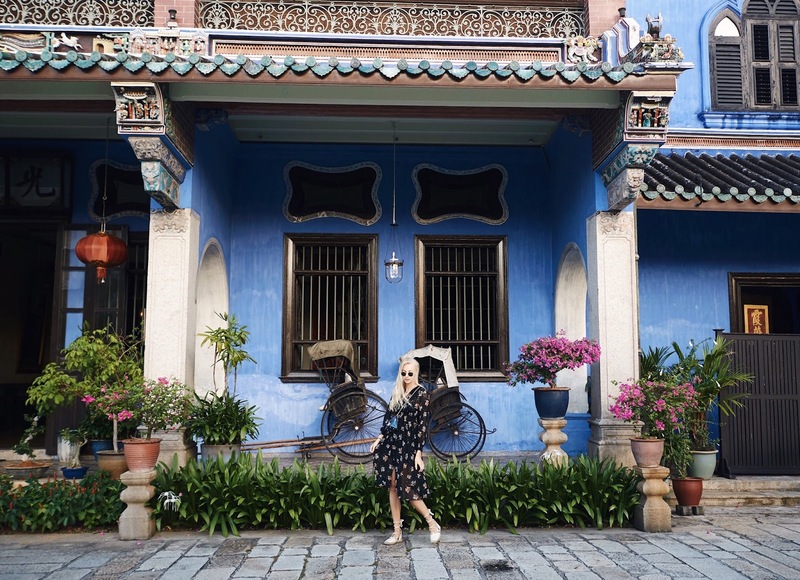 My boyfriend and I really enjoyed our stay and would strongly recommend immersing yourself in the history of Georgetown by staying at Cheong Fatt Tze - The Blue Mansion. This atmospheric boutique hotel is so different from all other (more modern) hotels we visited so far, so make sure not to miss this place when in Penang! That is such a great, zen looking like place! Wauw dit ziet er heel mooi uit!